Here is the video in our series of testimonial videos! When we filmed these videos this summer, we were humbled by the kind words from our customers. For us, the trust our customers put in us will always be of the utmost importance. Are you or your kids struggling to get showmanship perfected? Check out our showmanship video, featuring tips from Cody Brett Green. Plus, stick around for a special offer at the end of the video! Who is excited for Junior Nationals? 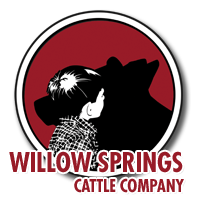 We at Willow Springs Cattle Company are! Be sure to watch this Salesmanship video, which is our second video in the series of Helpful Tips from Cody Green. Cody shares his knowledge with tips on how to approach the Salesmanship Contest for the Maine-Anjou & Chianina Junior Nationals. Be sure to watch this Prepared Speech video, which is our first video in the series of Helpful Tips from Cody Green. Cody shares his knowledge with tips on how to approach the Prepared Speech Contest for the Maine-Anjou & Chianina Junior Nationals.